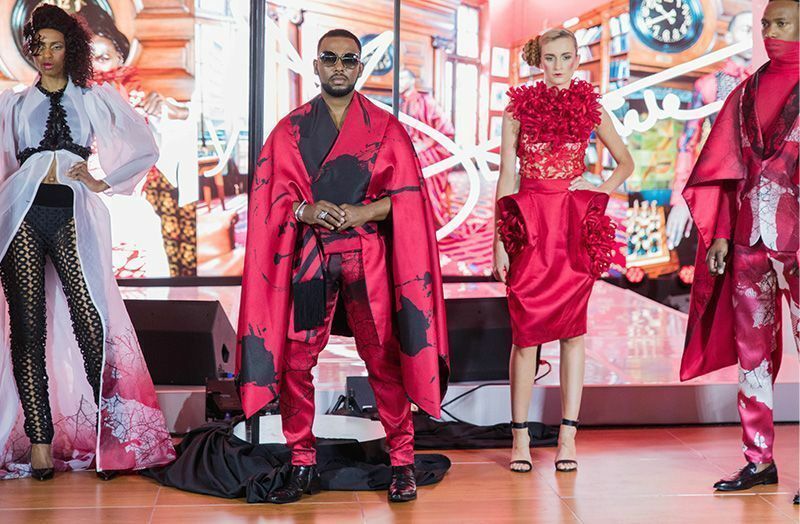 In a game-changing first for South Africa, the country’s number-one luxury fashion designer David Tlale partnered with Vodacom Red during this year’s Vodacom Durban July, to set a new standard for the most anticipated social event of the year. 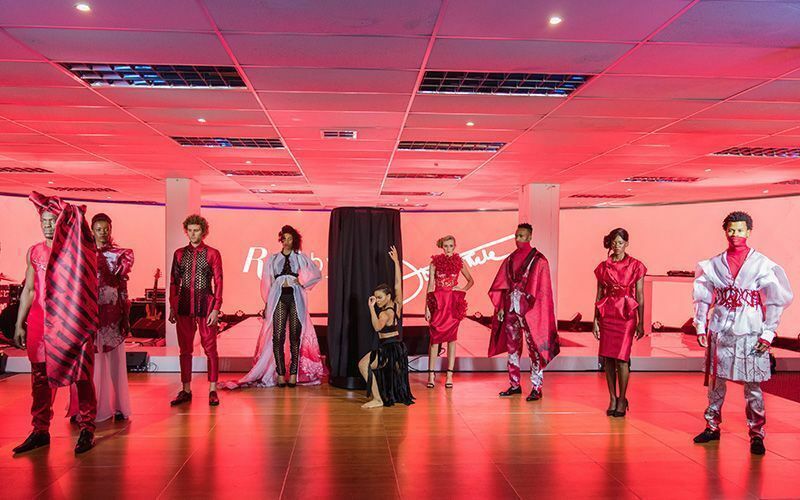 Tlale, who is known throughout South Africa and across the continent as a brand that represents ultimate indulgence, brought to life SA’s premier horse-racing event in true opulence and proved once again that Vodacom Red is truly for those who expect more. 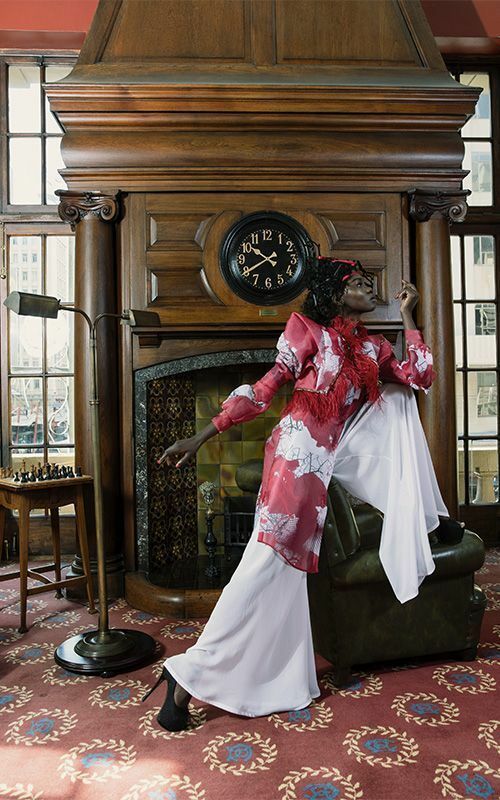 It was a year of firsts at this year’s Vodacom Durban July and Tlale ensured it was a year many wouldn’t forget in a hurry, culminating in a limited collection of 10 garments, aptly named RED, by David Tlale. The 43-year-old, widely known for his signature characteristic of only wearing black, abandoned his affinity to the colour and presented a special, once-off collection of 10 looks, each showcasing the colour RED during a private showcase at the Vodacom Red VIP Paddock for specially invited Vodacom Red guests. 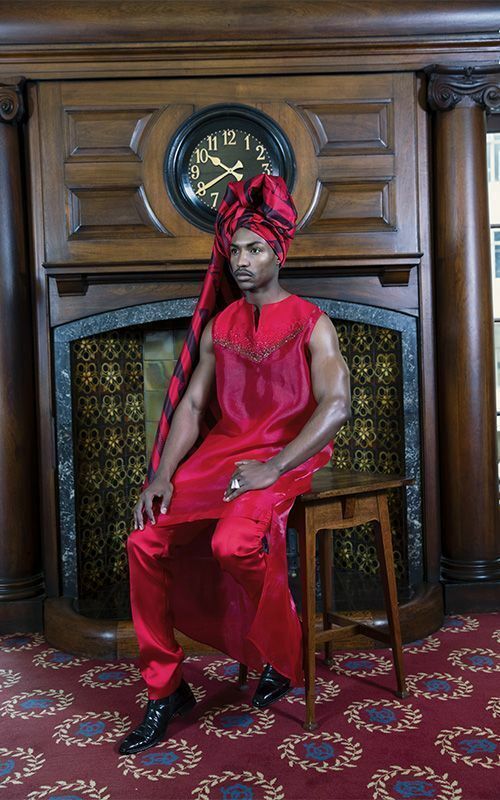 Not only did Tlale create the garments using Red as inspiration, but he too was seen in public wearing Red for the first time in his 15-year career. 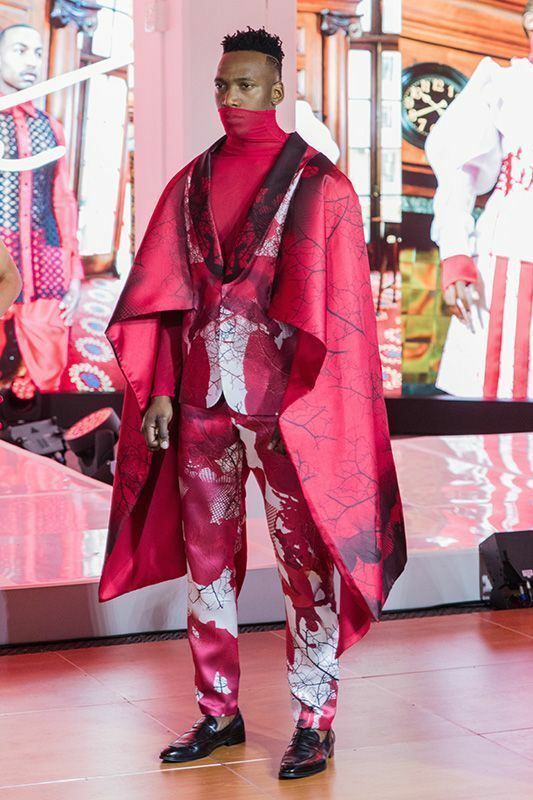 Ditching his usual black, Tlale wowed the crowds with an elegant Red suit that left fans open-mouthed, cell phones out and begging for selfies with the charismatic fashionista. Followers of Tlale were also taken along the journey of how he came to partner with Vodacom Red through a series of intimate video inserts in the weeks before the Vodacom Durban July. Each video focused on a different aspect along the road to creating the ultimate show of creative freedom and boldness. From taking to the streets of Johannesburg for inspiration, putting pen to paper and sketching what he conceptualized in his head, to producing his own patterns, prints and fabrics. Tlale took viewers inside his studio for a behind-the-scenes, all-access pass into the world of fashion, which included an exclusive look at musician and artist DJ Zinhle, who had her outfit designed by Tlale. Zinhle was joined by popular TV presenter and entrepreneur Maps Maponyane, who donned a slick black suit with red finishes and accessories. With his insightful descriptions and explanations of how he was creating the signature outfits, Tlale allowed thousands, through social media, to access his brand and partnership with Vodacom in a collaboration that has raised the bar and created an experience that’ll be hard to beat. Go to YouTube to watch David Tlale's inspirational Red journey.